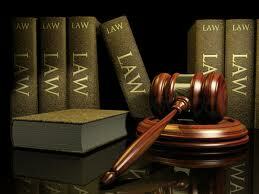 The 3rd edition of FYLC Ranka National Moot Court Competition is scheduled to be held on 28-30th September 2013. 28th Sept. to 30 th Sept. 2013 at University Five Year Law College, University Campus, Jaipur. (i) Each team shall comprise of three (3) members ONLY out of which two (2) will be speakers and one (1) researcher. (ii) Arguments shall be in English only. (iii) The competition is open for bonafide students pursuing five year and three years LL.B course. (iv) Each Law College/ University shall be eligible to send one team. Team should not disclose the identity of their institution in course of proceedings in the court rooms; such disclosure shall invite penalties including disqualification. (v) Each team shall be provided with the team code by draw of lots followed by exchange of memorials. (i) The Registration form completed with all Team Details must be submitted online and also sent to the College on or before 05th September 2013. (ii) A registration fee of Rs.2000/- is to be sent by way of Demand Draft drawn in favour of Director, FYLC, U.O.R., Jaipur payable at Jaipur along with the registration form. (iv) Teams should clearly mention the participants’ name, contact no. including year/semester of study.